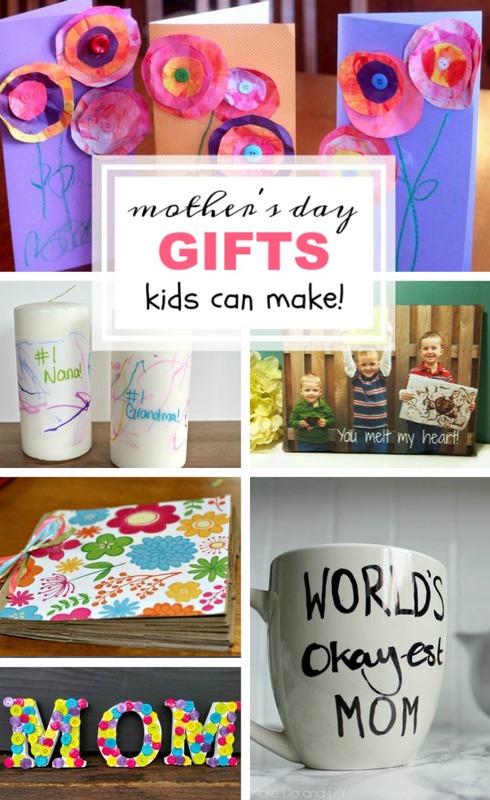 Let’s be honest, the title of this post should probably be “Mother’s Days Gifts Kids and DADS can make”! This is the one of the two times each year that you aren’t responsible for making a craft when another holiday comes around on the calendar. (The other time is your birthday.) Unless your child makes you a little homemade gift at school, it’s gonna be dads and kids raiding your craft closet. So to keep everyone smiling when Mother’s Day comes around, I knew we had to make these gift ideas short, sweet, and simple. Of course, these gift ideas are great for Grandma too. Or heck, these ideas are so cute you could just do them as an everyday craft. After all, every craft your child makes is precious and a mini masterpiece that us sentimental schmucks want to keep forever and ever. Well, except the birthday cards that my hubby let the boys cover in glitter. Sweet and sparkly? Yes. Appreciated? Yes. Cleaning flecks of glitter off the floor for the next month? Uh…. 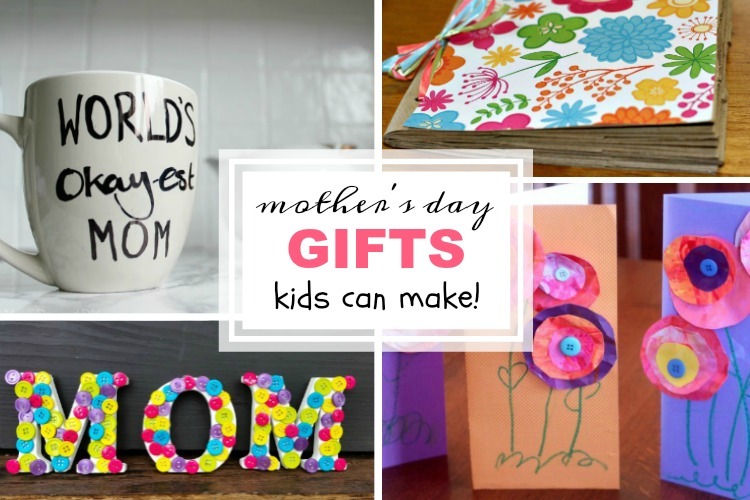 Seriously though, pick your favorite gift and then sort-of-kind-of-not-so-accidentally leave your laptop open to this page so child and spouse can see it and VIOLA… a Mother’s Day gift you’ll cherish for years! And… I just couldn’t help but throw in one of my personal all-time favorite Mother’s Day gifts that we have made and given! 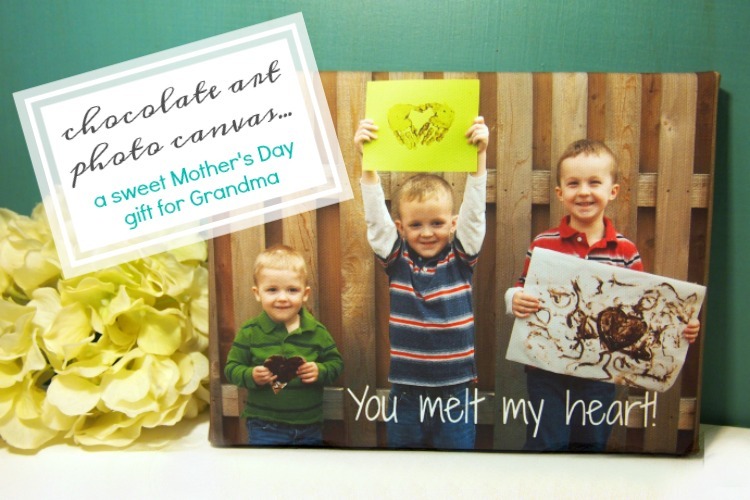 It’s doing Chocolate Art with the kiddos and then turning it into a DIY photo canvas. Yes, the kids will need help with this one so it is actually as much of an adult project as a kid project, but it’s super simple and the result is just heart melting! At the end of the day, it doesn’t matter what the craft or gift was that your child made you, it’s just getting to be their momma that makes the day perfect!